Artificial intelligence protects us from known and unknown threats, helps us connect to one another, and provides better answers faster and cheaper than humans do. But what about the unintended consequences that come with its use? Unlike traditional rules-based programming, AI models are statistical representations of the world. They provide answers based on their learning, but they are imperfect. Consider autonomous vehicles—their training data is growing exponentially and the models based on it are improving, but errors in those algorithms continue to be discovered, sometimes only after loss of life. Overreliance on AI can lead to loss of skills, critical thinking, and understanding of the fundamentals of your business and what’s truly driving demand. The lack of transparency in algorithms raises concerns about bias, since any algorithm trained on historical data will make conclusions that reflect the bias present in that data. As these algorithms take on broader roles—setting a price on an e-commerce site, determining car insurance rates, making hiring decisions—a very real risk is simply repeating how things have always been done. How can these risks be addressed? Bain & Co. advises that top executives be involved in establishing the goals and limits around the AI used by their businesses. Every materially important algorithm should also have a product manager to review and test the algorithm, audit its outcomes, and assess and improve its performance. Russian-born Igor and Dmitry Bukhman are seeking growth to challenge Tencent and Activision. Almost two decades ago, in a remote Russian city best known for its butter and linen, two brothers shared a bedroom and a Pentium 100-powered computer they used to code their first game. Wall Street wants a piece of what they’ve built since. He and Igor Bukhman, 37, are the brains behind Playrix Holding Ltd., the creator of popular games similar to Candy Crush, including Fishdom and Gardenscapes, with more than 30 million daily users from China to the U.S. and annual sales of $1.2 billion, according to Newzoo. That makes the company one of the top 10 iOS and Google Play app developers by revenue, data from researcher AppAnnie show, putting Playrix in the same league as Tencent Holdings Ltd., NetEase Inc. and Activision Blizzard Inc.
Today, each brother is worth about $1.4 billion, according to the Bloomberg Billionaires Index. They haven’t previously appeared in a global wealth ranking. Their road to riches started in 2001 in the city of Vologda, almost 300 miles (483 kilometers) north of Moscow, where Igor learned from a university professor that he could sell software online. He decided to try with Dmitry, who was still in high school at the time. “We had no experience, no business understanding whatsoever—everything we could imagine was writing games,” Igor said. 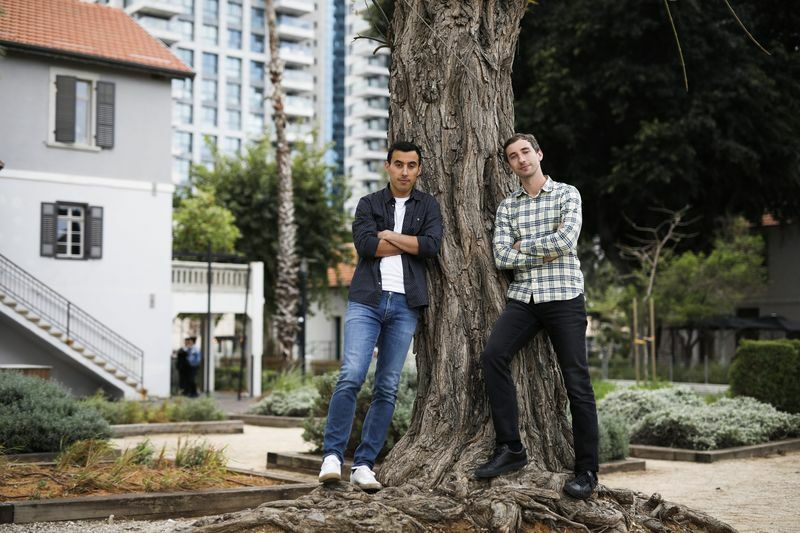 The U.S. is Playrix’s biggest market, followed by China and Japan, the brothers said in a recent interview in Tel Aviv, where they spend some of their time. The two remotely manage about 1,100 employees, including personnel at its Ireland headquarters and developers in Russia, Ukraine and Belarus. The brothers’ first product was a game akin to Xonix in which players must use a cursor to open pieces of a hidden picture before being struck by flying balls. They wrote it during a summer break and generated $60 in the first month and later $100 a month, about half of the average salary in Vologda. “We thought, ‘If one game makes $100, we can write several dozen of them and make a lot of money,”’ Igor said. Their second game, featuring an animated character designed by an outsourced artist, brought in $200 a month. Their copycat of Tetris brought in $700 a month, but the brothers shut that down after learning that the game was protected by a license. In 2004, when the business reached $10,000 of monthly revenue, they registered a legal entity, rented space for an office in the basement of a book warehouse and hired other staff to accelerate production. In the early years, they sold casual games through sites such as majorgeeks.com or download.com, before moving to bigger platforms like Yahoo! and AOL. Then, within the past decade, games started moving first to Facebook and then smartphones. Many of them were available for free, with users paying only for certain in-game features. Playrix makes most of its money from in-app purchases and the brothers mostly shun advertising, which detracts from the user experience. Ads generate less than 3 percent of revenue, Dmitry said. 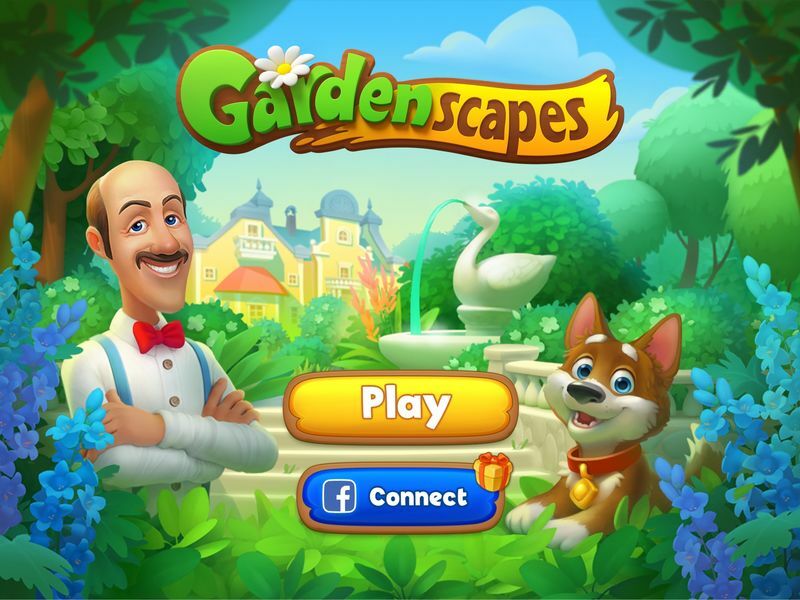 Playrix succeeded in this transition, achieving worldwide recognition over the past three years with Gardenscapes and its sequel, Homescapes, a new variety of match-3 puzzle in which a player completes rows of at least three elements to pass levels and progress through an animated storyline—in this case, helping a butler named Austin renovate a house with a garden. 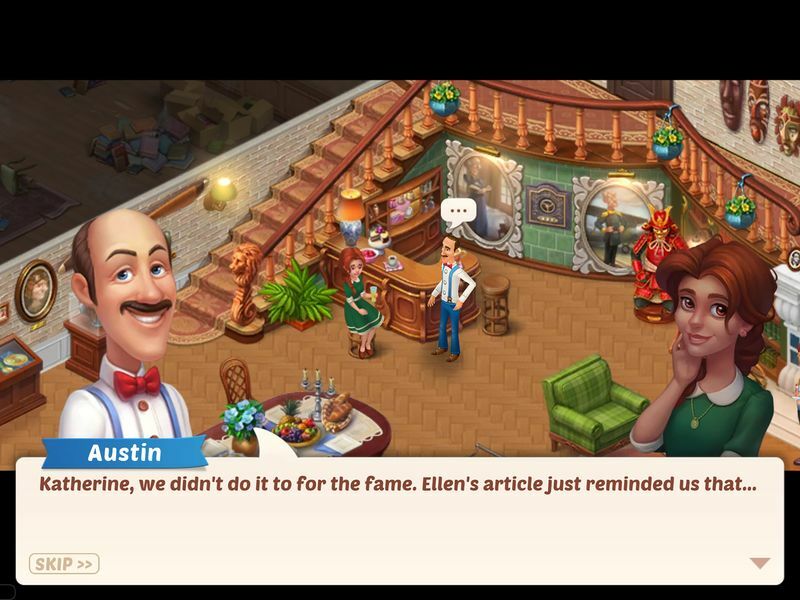 The company employs several full-time script writers who work on Austin’s dialog, and it’s always improving the games, Dmitry said. While Playrix hasn’t introduced a new title since 2017, the company recently acquired several gaming studios to expand into new genres, Igor said, declining to disclose which studios until it releases games developed by them later this year. Successful titles attract whales. Activision Blizzard acquired King Digital in 2015 for $5.9 billion, and a year later Tencent led investors in an $8.6 billion deal to acquire a majority stake in “Clash of Clans” maker Supercell Oy. Could Playrix be next? In February, the Information reported that it could be sold for $3 billion, citing Chinese firms iDreamSky Technology Holdings and FunPlus Game Co. as potential suitors. The brothers dismissed the report. “For $3 billion we won’t sell,” Dmitry said with a smile, while acknowledging that Playrix had been discussing strategic options as recently as last year, noting its meetings with Wall Street banks. Their goal, for now, is to become a “top-tier gaming company,” that rivals Activision Blizzard and Electronic Arts in the West, and NetEase Inc. and Tencent in China, Igor said. “We want to grow as big as they are, using developer talent from our region—the former USSR and Eastern Europe,” he said. There’s no magic number that would compel the Bukhmans to sell the company, because they say money is secondary to doing what they love. Schaumburg, IL, USA (11 June 2018)—ISACA, a global business technology association serving more than 450,000 professionals, installed its 2018-2019 Board of Directors at its Annual General Meeting in Chicago, Saturday 10 June. Rob Clyde was elected to lead ISACA’s board as chair. An industry leader within the security and technology space with more than 30 years of experience, Clyde is managing director of Clyde Consulting LLC, which provides board and executive advisory services to cybersecurity software and other companies. In addition to his role as ISACA’s newest chair, Clyde serves as executive chair for White Cloud Security, board director for Titus and executive advisor to HyTrust and BullGuard. He is also a Board Leadership Fellow of the U.S. National Association of Corporate Directors. Prior to his current board and executive advisory work, Clyde served as the chief executive officer of Adaptive Computing, was chief technology officer at Symantec and cofounder of Axent Technologies. At ISACA, Clyde previously served as board vice chair and director, chaired the board-level ISACA Finance Committee, and served as a member of ISACA’s Strategic Advisory Council, Conference and Education Board and the IT Governance Institute (ITGI) Advisory Panel. He is a frequent speaker at ISACA and other global cyber security, technology and governance conferences. He also serves on the industry advisory council for the Management Information Systems (MIS) Department of Utah State University (USA). Also named to a new leadership role on ISACA’s Board of Directors is Vice-chair Brennan Baybeck, vice president of Global IT Risk Management for Oracle Corp. Baybeck has more than 20 years of experience in IT security, risk, audit and consulting, and has worked in various industries designing, implementing and operating enterprise-wide programs to address global security risks. He has held leadership positions at Sun Microsystems, StorageTek and Qwest Communications. Vice Chair Brennan P. Baybeck, CISA, CISM, CRISC, CISSP, vice president of Global IT Risk Management for Oracle Corp.
Director Leonard Ong, CISA, CISM, CRISC, CGEIT, CPP, CFE, PMP, CIPM, CIPT, CISSP ISSMP-ISSAP, CSSLP, CITBCM, GCIA, GCIH, GSNA, GCFA, associate director at Merck & Co., Inc.
Director R.V. Raghu, CISA, CRISC, director of Versatilist Consulting India Pvt. Ltd.
Director Tichaona Zororo, CISA, CISM, CGEIT, CRISC, COBIT 5 Certified Assessor, CIA, CRMA, IT advisory executive with EGIT | Enterprise Governance of IT (Pty) Ltd. The 2018-2019 Board will lead ISACA as it celebrates its 50th anniversary in 2019. Photos and biographies of all board members are available at www.isaca.org/board. Sheryl Sandberg found a nighttime routine that built up her resilience. After the unexpected death of her husband, she began writing down three things she did well that day before she went to bed. It didn’t have to be a big thing: ran a successful meeting. Listened, when her instinct was to talk. Said something kind to another. Sounds simple. But the results were game-changing. In her book Option B, which has been translated into a free LinkedIn Learning course on resiliency, Sandberg said she struggled with self-confidence throughout her career. But, she managed to build up her confidence over time with the success of her book Lean In and helping other women break the glass ceiling – only for it to come crashing down after her husband Dave Goldberg’s unexpectedly died in 2015. In the months after Goldberg’s death, Sandberg’s confidence was shot. Psychologist and Option B co-author Adam Grant noticed and told her the only way she’d build it back up again was by adopting self-compassion – which means approaching yourself with the same kindness and understanding you’d show to a friend. Part of that is highlighting wins, instead of losses – much like you would accent a friend’s strengths, as opposed to picking out all their weaknesses. And one tactic for doing that is journaling each night three things you do well, instead of what focusing on what you failed at. Sandberg took the advice in the months after her husband’s death and is forever grateful for it. Perhaps you haven’t gone through a tragic loss like Sandberg did. But the technique isn’t just for people going through hardship, it can apply to anyone. I’ll take myself as an example. Before I go to bed each night, I too focus on everything I did wrong that day, while rarely giving myself credit for anything that went right. All this does is make small struggles bigger, erode my confidence and lower my resilience. I’d never treat anybody else this way. And that’s Grant’s whole point: we focus so much on building great relationships with others, and yet we often form terrible relationships with ourselves. Maybe this is a foreign idea, and you go to bed each night thinking of all the great stuff you did. But, if that’s not the case, perhaps it’s time for a change – and to take time to write out what you did well, instead of what you did wrong. According to Sandberg, that simple action will build your resilience, increase your happiness and ultimately make you happier. And it takes all of five minutes.